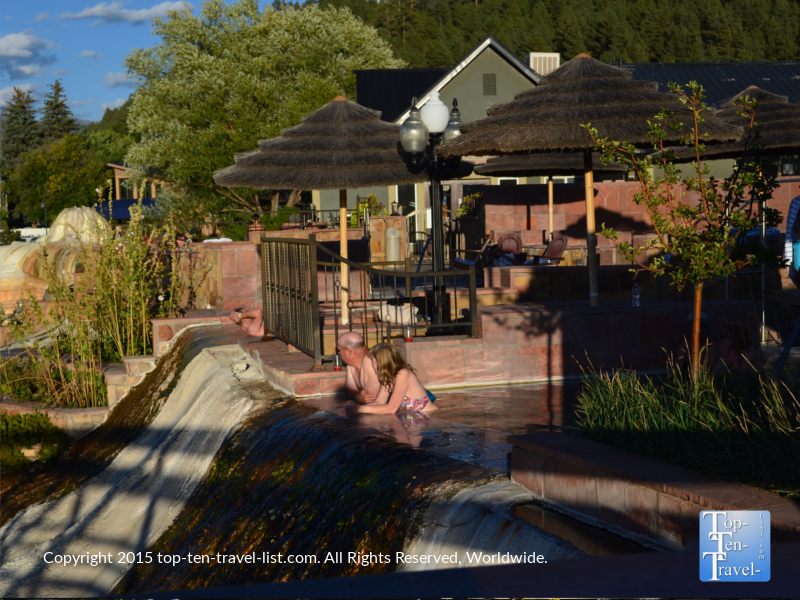 Pagosa Springs: A Relaxing Soak in the World's Deepest Hot Springs - Top Ten Travel Blog | Our experiences traveling throughout the US. 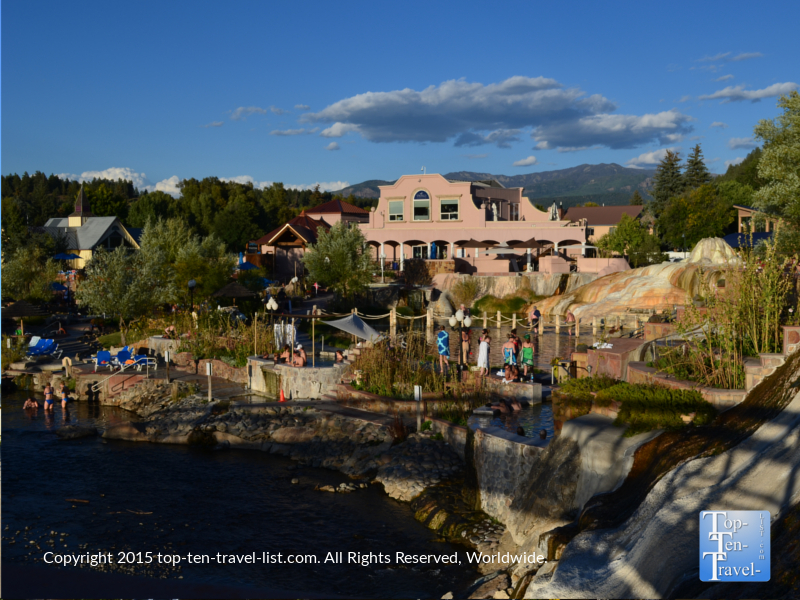 Pagosa Springs, a small town in Southwestern Colorado, was named as so by the Ute Indians in 1866 after the discovery of the area’s healing waters: the world’s deepest geothermal hot springs. 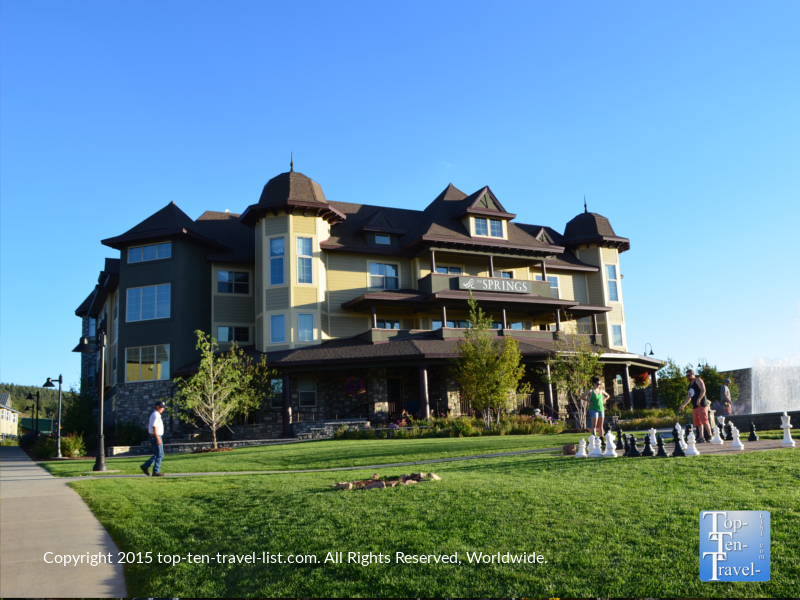 Pagosa Springs is a beautiful small town surrounded by over 3 million acres of gorgeous wilderness, including the San Juan National Forest. There are many gorgeous hikes and waterfalls to explore within the region. After a full day out on the trails, it’s nice to come back and treat yourself to a relaxing soak in the warm natural mineral springs. 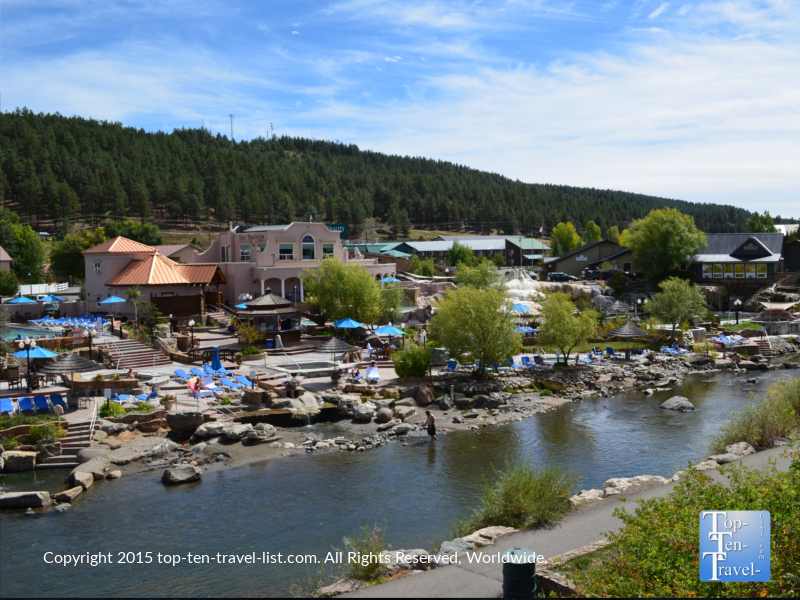 There are 3 resorts in town to advantage of these healing waters: the Healing Waters Resort and Spa, Overlook Hot Springs, and The Springs Resort and Spa. 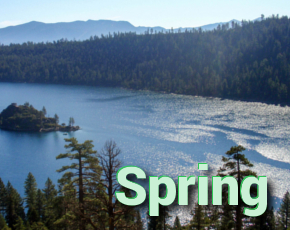 The Springs Resort and Spa, home to the Mother Spring, is the must visit while in town. 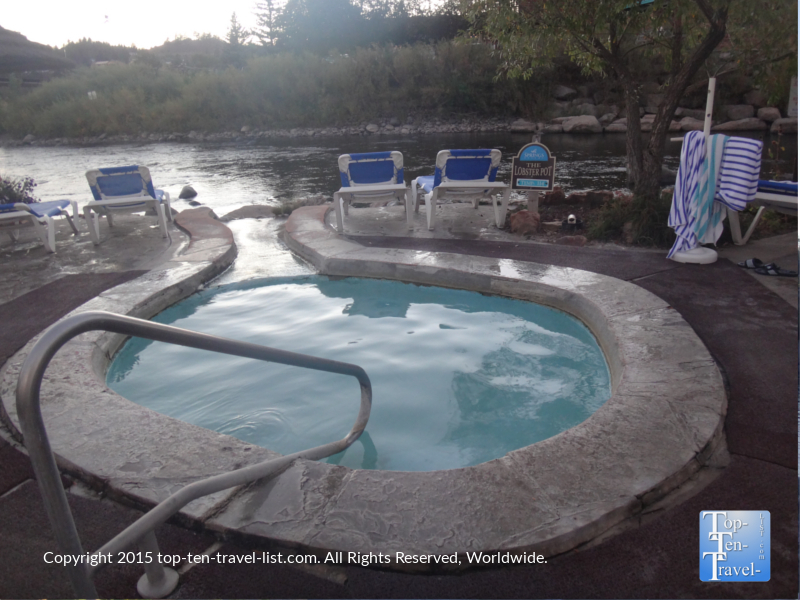 This resort has a particularly attractive setting right on the beautiful San Juan River. Whether visiting day or night, you are surrounded by beauty: the mountains and forest by day and the starry skies by night. The springs were discovered over 150 years ago. Early Native Americans called the springs “Healing waters,” and used them as a source of both peace and healing. 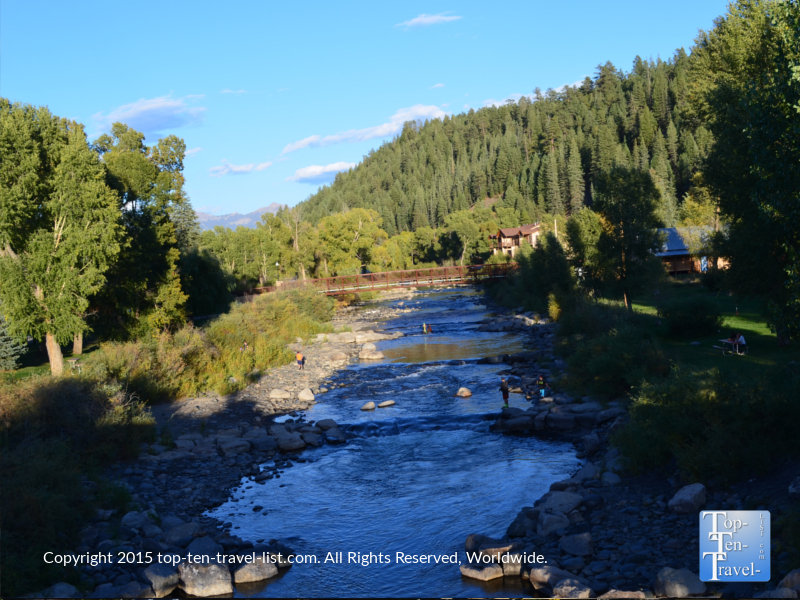 In the 1860s, US army physicians studied the waters and determine that “the waters of Pagosa are without a doubt the most wonderful and beneficial in medicinal effects that have ever been discovered.” Over the years many visitors have tested to the healing powers of these ancient waters. Whether or not the mineral waters actually provide any restorative health benefits, one thing’s for sure- they definitely have relaxation benefits! 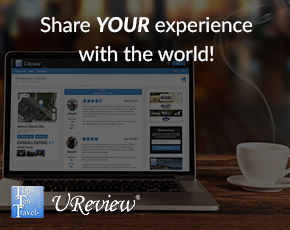 As soon as you lower yourself into one of the rich, warm mineral pools, you can literally feel your stress melt away. Your tired muscles are soothed, headache and neck tension disappears, and overall happiness and relaxation increases. So take a break from all that technology and enjoy a soak in this natural wonder. Your body and brain will both thank you! Each of the 23 pools at The Springs Resort is a different temperature, so you can choose one that suits your individual heat tolerance level or test out several! The really hot springs are especially nice on snowy winter nights or after a day on the slopes. 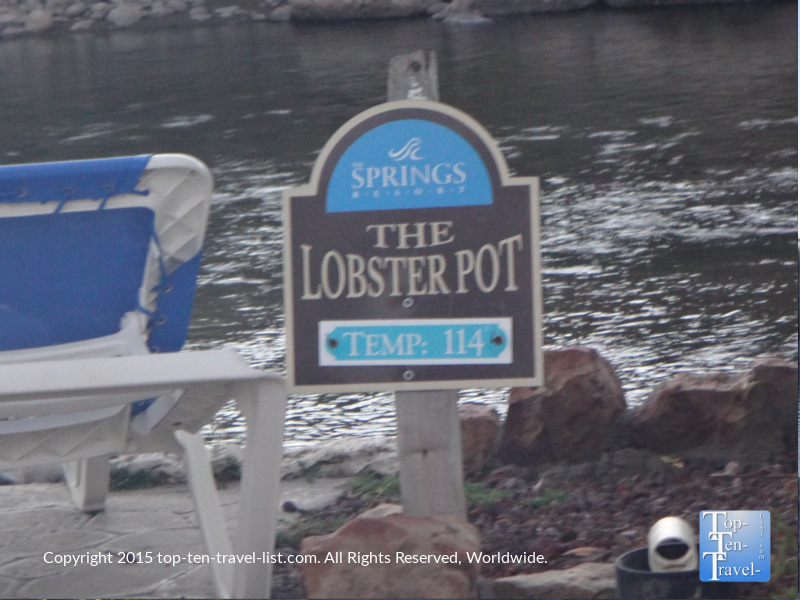 While the Mother Spring’s temperature is around 131 degrees, which is obviously much too hot to safely enjoy, the pools vary in temps, from as low as 91 in the Dancing Waters Pool to the hottest pool, known as the Lobster Pot, which can be as high as 114 degrees!